The right mouse and keyboard can make the difference between a won or lost game where valuable skill points are on the line. After spending over 15 hours scouring the internet for reviews and with over a decade of competitive gaming experience, we feel comfortable recommending the Logitech G403 as the best gaming mouse for most people. Our pick – The best mouse for most people is the G403 for its overall build quality, having a great wireless version, and performance in all games. The mouse has a flawless sensor, solid buttons suited for MOBAs and FPS, a wired and an actually good wireless version, and a size and shape that will fit most hands. The G703 is now out with its fancy wireless charging mousepad, the G703 has the exact same internals and shape as the G403, just a lot more expensive, we still recommend the G403 as our best mouse, it’s also on sale more often now! No mouse is perfect — there’s no such thing as one mouse fits all, so we’ve written a guide on what to look for and provided some alternatives for different priorities. 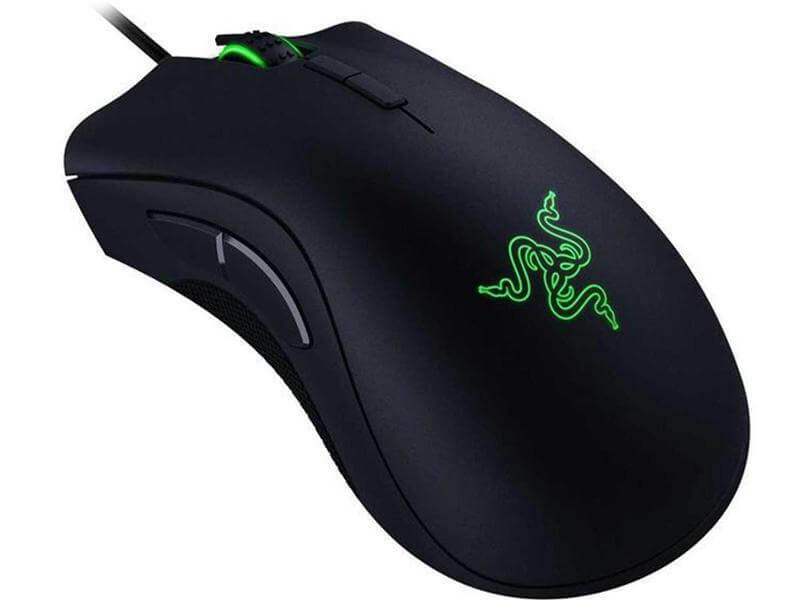 Another great mouse that works for a large variety of games is the Razer DeathAdder Elite. The DeathAdder features an iconic ergonomic design, a responsive sensor and buttons also suited for MOBAs and FPS. The DeathAdder isn’t the pick for a couple of reasons. The mouse is a little too large for the average hands and Razer has had a few build quality issues. Those two things put it just short of a recommendation in comparison to the solid Logitech G403. We felt comfortable picking a right handed mouse when factoring that 90% of the population is right-handed. A lot of left-handers use right handed mice anyway. This is the criteria we think is really important in a mouse. Not really agreeing with our picks? Here’s everything you need to know when evaluating gaming mice. Mouse build preferences are subjective, what might feel comfortable to one person might cramp another’s hands. So there might be a bit of trial and error before you find the build you like. The first thing to consider when evaluating mice is to determine what kind of mouse grip you prefer; there are 3 general grip types: palm, claw, and fingertip. None of these grips are wrong, pro players all fall into one of these three categories, you can perform well with any of these grips. The size of the mouse also plays a large factor on how the mouse feels when using it, certain gaming mice gear towards specific hand size ranges. The ideal mouse length should be roughly 60-75% of the height of your hand, claw and fingertip type grips can comfortably use mice even longer than this. You want a mouse that you can maneuver confidently without it being too big to comfortably lift, or too small that it starts cramping your hand. Most people will perform better with a lighter mouse that allows for quick movement for flicks and an easy lift. Lastly, you want a mouse that won’t easily get dusty, sweaty or have the surface rub off with prolonged use. The mouse buttons and scroll wheel should be solid with minimal rattle and the cord should be strong yet pliable to not affect mouse movement. The gaming mice that work really well have sensors that track accurately and responsively with a 1:1 relation to your mouse and the cursor. All modern sensors have great DPI (dots per inch) range, the higher your DPI the more sensitive your mouse is to movement and the further your cursor will travel. Mediocre sensors can have trouble keeping up with high DPI and will jitter, but the top sensors can handle most DPI ranges. Some mice have angle snapping and acceleration built in to correct for jitter that can make it harder for you to ‘git gud’, you want to avoid these mice. 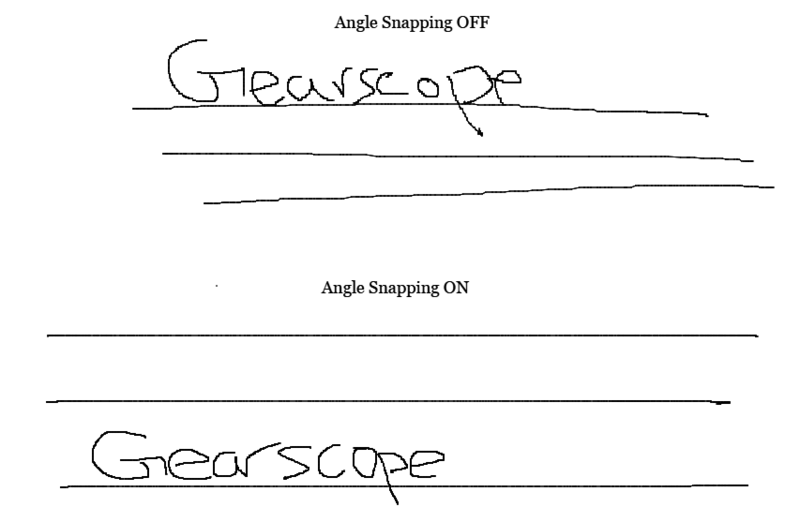 Angle snapping is a feature in some mice that lets us imperfect humans draw straight lines freehand, that’s great for drawing straight lines, horrible for gaming. You don’t want to have angle snapping when gaming because it can predict the wrong spot for your aim. Acceleration is a feature in mice that’s again made for desktop use, it allows for users who move the mouse faster to get across the screen with less effort. What that means for gaming is that mouse travel distances aren’t consistent, you won’t be able to build muscle memory. Lift off distance is the distance, measured in mm, between the mouse pad and your sensor before your mouse stops tracking. You want a sensor with a low lift-off distance so that it stops tracking the moment you pick up your mouse to reposition. What happens with high lift off distance mice is what when you pick your mouse up to reposition the cursor will still follow throwing off your aim. We found that most gamers don’t need an excessive amount of buttons. We think an ideal gaming mouse should provide 5 buttons: left, right, 2 sides and a scroll click. The only exception are MMO gamers who will likely prefer a mouse with more macro buttons. Each button on the mouse should feel tactile to provide the proper input response. FPS players might prefer a stiffer click giving a more decisive button press to prevent accidental fires. MOBA players will prefer a mouse button that can click quickly to issue as many commands as possible. Software is a nice to have if you care about customizing your mouse. Some mice don’t have any software but work straight out the box plug and play with built-in options into the mouse. Wireless gaming mice have been a non-discussion in the past due to the response time being too slow for gaming. The recent generation of wireless gaming mice might have changed the conversation. Modern wireless mice from Logitech like the G403 and the G900 have pretty much no latency difference with the wired version. Wireless is a feature to look out for if you prefer it, just make sure that the battery life is good and the response times are low. There are some mouse settings that you should look to tweak to your preference and some settings that you should outright disable to maximize your gaming performance. This is up to mostly personal preference, generally, you want a higher DPI so the mouse tracks smoothly, but some mice can get jittery at the upper range of DPI, a safe bet would be to set it anywhere between 400 to 1800 DPI and set your sensitivity to whatever you think feels right. A best practice is to have a high DPI and a low sensitivity to maximize your aim. On-winning has this great post keeping track of what pros use for their setup: Here’s the CS:GO pro player chart. You want to set your mouse to the highest polling rate it can go up to, this is typically 1000 Hz at the time of writing this post. If your mouse allows you to set your lift-off distance, set it to the lowest setting. 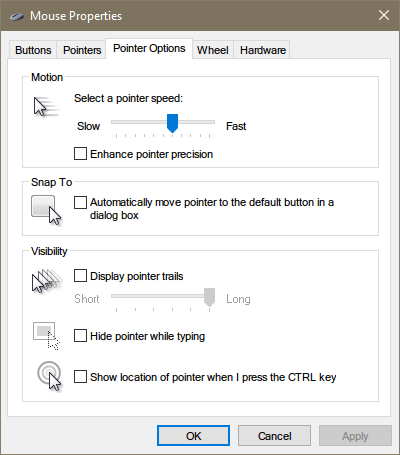 Turn off any angle snapping and acceleration in the mouse software if available. Who’s the Logitech G403 for? Gaming mice have advantages over regular mice that are important for gamers. The top gaming mice always pack the most modern sensor that will track every small movement with pixel point accuracy, really handy for aiming and micro. There are more buttons on gaming mice that allow you to map specific functions like quickbuys, melee attacks or macros at the press of a thumb. The buttons themselves are higher quality, more tactile, responsive and durable. 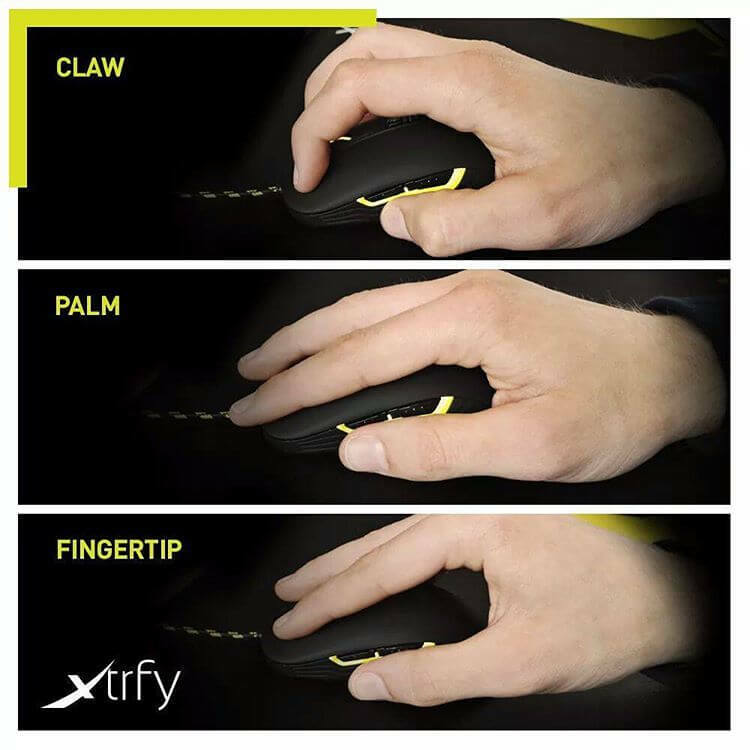 The shapes of the mice are designed with more thought; they provide optimal grip, comfort, and maneuverability. You’ll be able to find gaming mice that will accommodate any grip type and hand size. Great for shooters – The Zowie is the best ambidextrous mouse made for shooters. The Logitech G403 is perfect for gamers who play a variety of games, have average sized hands with any grip, that might want the option to go wireless. If you only care about FPSes like Overwatch, CS:GO and Battlefield then there are a couple of competitors that more specialize with FPS like the Zowie FK-1, Zowie EC-2. Same goes for MOBA specialists, the Logitech G303 is great for games like League of Legends and Dota2. Check out the gaming mice for FPS, MMO and MOBA sections of this post to learn more. The Logitech G403 competes with most specialized mice in any game, so be sure to consider it even if you do only care about one type of game. Our pick – The best mouse for most people is the G403 for its overall build quality and performance in all games. The Logitech G403 is our choice for the best mouse for most gamers; it performs admirably in all game and grip types with all the right performance and features. It won’t be the best for every single person, but if you play many types of games this is the mouse you get. The Logitech G403 has an ergonomic shape with finger grooves on the buttons and thumb groove on the side for right handed use. The shape subtle enough that it doesn’t force any type of grip making it great for a lot of people. The G403 is similar in shape to the Razer DeathAdder, just slightly shorter and thinner with the hump moved further back. This shape makes it better for most average hand sizes as the Razer DeathAdder skews large. The G403 resembling the Razer DeathAdder in shape is great news, it’s a very popular shape amongst gamers. 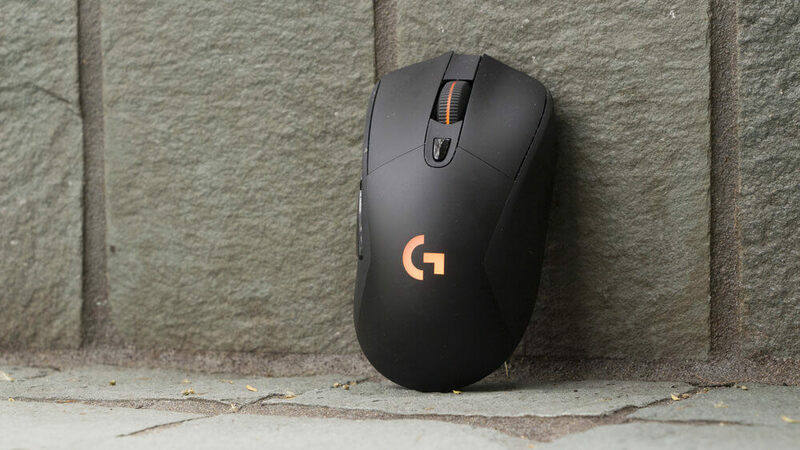 The G403 comes in at 12.4cm(4.88in) long, 6.8cm(2.67in) wide and 4.3cm(1.69in) tall making it ideal for a majority of hand sizes usually in the 17 to 20 cm length range. The sides of the mouse feature slightly grooved rubber grips for an ergonomic hold for right-handers. The bottom of the mouse has a tapered edge with assists with lifting the mouse for repositioning, while the top of the mouse has a bump that rests comfortably with palm, fingertip, or claw grips. The mouse has a modest style that looks great but would fit in at an office. The mouse has a matte finish that feels great with an RGB G logo beneath the scroll wheel. The wired version weighs in at a svelte 90 grams with an optional 10g weight while the wireless model comes in at 104 grams with the same 10g option. The mouse is properly balanced, you won’t find any trouble moving this mouse around for fast flicks. The Logitech G403 buttons use tech called ‘Advanced button tensioning’ which helps the left and right buttons deliver a tactile response and consistency. Marketing terms aside, this is an accurate description as the mouse buttons perform as described, with strong, consistent clicks for every button press that won’t misfire by resting fingers, they feel great. The buttons are rated for 20 million clicks and there have been no reports of any double click issues or failures that have plagued other mice. The scroll wheel clicks in confidently with no accidental inputs with a slightly tactile click on scrolling up or down. The 2 side buttons are in an easy to reach place, with a shallow click while not getting in the way of a normal grip. There have been varying reports about the Logitech G403 with some people receiving mice with a wobbly and rattling scroll wheel. The mouse has a 4.2 out of 5 stars with 276 reviews on Amazon. It looks like Logitech has been very good with their RMA process to replace wobbly mouse wheels with newer batch mice that don’t have this problem. It’s also worth noting that Logitech provides a 2-year hardware warranty. Like all Logitech products, the G403 comes with Logitech Gaming Software which allows you to set DPI profiles, lift off distance, RGB lighting settings, and key mappings. All settings save into the G403’s onboard memory, which means you can take the mouse to any computer and your settings will still be there. The Logitech G403 includes the best sensor on the market, the Pixart pmw3366. Tracking is great at all DPI levels and tracks precisely over slow and fast movements. There are simply no tracking errors with this sensor, it’ll handle any type of crazy movement you want to throw at it, including 360 no scopes. The sensor is free from any noticeable acceleration and angle snapping. At higher DPI the mouse is jitter free and tracks smaller movements precisely for the Widow mains out there. 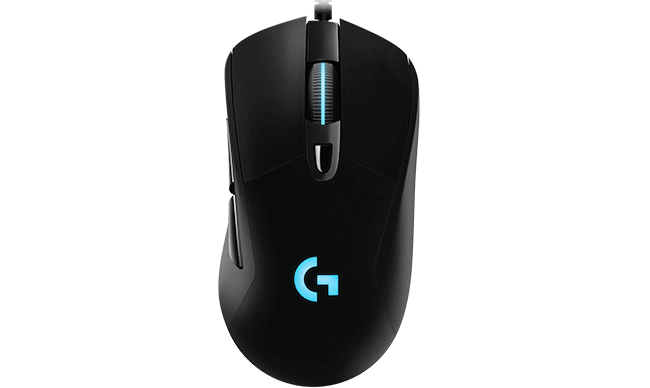 The mouse is responsive with low latency, with the wireless model of the G403 actually matching the wired with a similar response time. We’re pretty comfortable recommending this mouse for wireless gaming. Lift off distance is low and adjustable within the software. You can’t find a better sensor on another mouse. Besides the scroll wheel wobble issues, there’s not much to gripe about with a straight forward, high-performance mouse. The braided cable on the wired Logitech G403 is on the heavier side and can lightly scratch against certain mouse pads, but it’s not enough to cause any problems. Some people may find the ergonomic shape and height a little big compared to mice they’re used to, if you suspect you might like a smaller mouse, look below for other mice we found smaller but still fantastic. The venerable Rocketjumpninja ranks the G403 at #1 of his top 40 gaming mice list calling it close to perfect. Tweaktown gives the wireless G403 a 90% rating liking the shape, calling the movement effortless with top-tier components. Both of these mice are highly lauded and the only thing that separates these mice from our top recommendation is a preference in shape. The Razer DeathAdder Elite skews slightly larger than the Logitech G403 while the Logitech Pro skews slightly smaller with an ambidextrous design. Another great option – The DeathAdder Elite is perfect for people with larger hands. The Razer DeathAdder Elite is the latest iteration of the prolific DeathAdder series, it’s been a top choice and arguably the most popular gaming mouse in recent memory. It has a great sensor, tactile buttons and an ergonomic shape that’s slightly larger than the Logitech G403. It’s suited for all types of games. The DeathAdder Elite measures in at 127 mm / 5 in (Length) x 70 mm / 2.76” (Width) x 44 mm / 1.73 in (Height) which makes it slightly larger than the Logitech G403, it’ll still work for most people but you will likely aim better with a slightly smaller mouse. 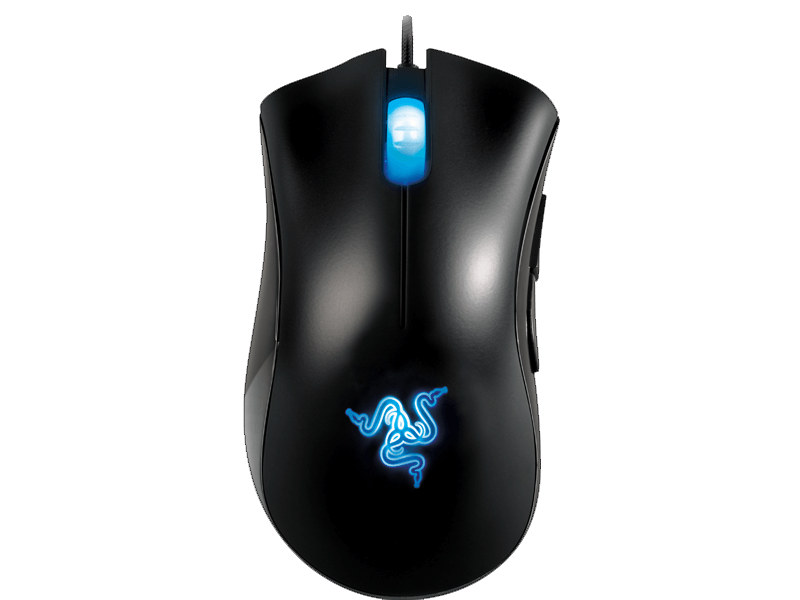 The DeathAdder Elite weighs 105g, which is light for a mouse its size. The iconic shape of the mouse has inspired many lookalikes with slight curves and elongated design that works for all grip types. The sides feature a rubber that maintains grip while lifting and moving the mouse. The DeathAdder Elite comes with seven programmable ‘Hyperesponse’ buttons. The left mouse and right mouse buttons feature Razer’s proprietary Omron switches that are rated for a 50 million click lifespan, they have a great click that’s just right for both FPS and MOBAs alike. The side buttons are top-notch, they’re large and easily accessible with a great tactile feel. With the rubber side, your grip on the mouse is never compromised when reaching for the side buttons while being well out of the way when you don’t use them. 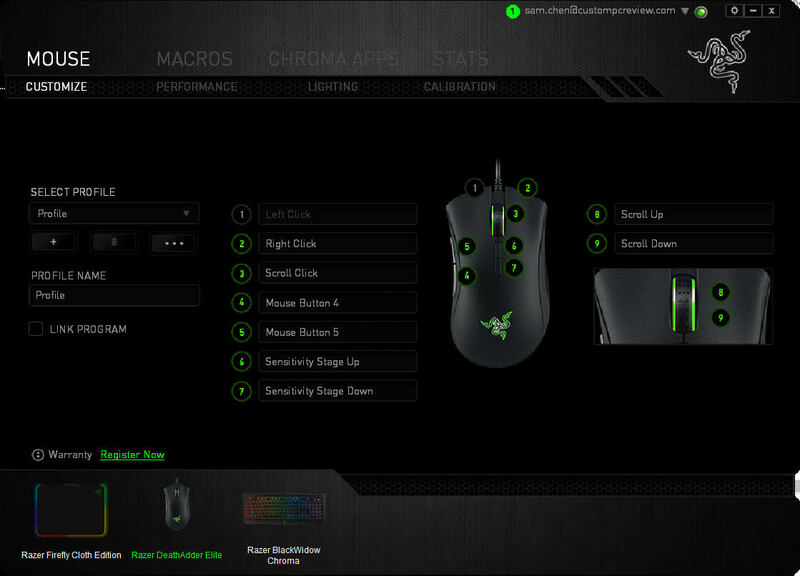 Razer doesn’t advertise what sensor it uses, some suspect that it’s a 3360 which is considered a flawless sensor, regardless, the DeathAdder Elite has tracking that’s on par with the G403 in every aspect. The tracking is error free with no acceleration, jitter or angle snapping with a fast response. Both Logitech and Razer are the top of the industry with customization options. One of the common complaints about Razer’s Synapse software is that Razer requires you to create an account to save configurations to the cloud, one of the few flaws with the Razer mice. Another potential downside is that Razer has a reputation for having quality issues, where mice can develop accidental double clicks or LED burn out. Techspot reported three out of a dozen DeathAdders Chromas that they purchased failed. A quick Google Search turns up a lot of reports of failures. But, being one of the most popular mice on the market there are bound to be more reports of failure compared to other mice. A smaller ambidextrous option – The Logitech Pro has the exact same internals as the G403 in a smaller, ambidextrous shell. The Logitech Pro features all the same sensors and software that the G403 sports in a smaller, ambidextrous shell. It’s a very popular choice amongst pro gamers for its ambidextrous design and lightweight. With a height of 11.66 cm, a width of 6.21cm and a depth of 3.92cm, it’s built for gamers that find the DeathAdder and G403 a little bit too large and unwieldy. The Logitech G Pro weighs in at 83g, it’s one of the lighter mice on the market and doesn’t come with an option to add any weight. The buttons use the same advanced button tensioning in the Logitech G403 but the force required to click on the Pro is much lower. What this means is that this mouse might skew more towards more click-spammy games like MOBAs but it seems like a lot of FPS pros prefer this mouse. Outside of those differences, it features everything else that makes the G403 great; programmable buttons, flawless sensor, a durable finish and RGB lighting. This is a great choice for gamers who prefer an ambidextrous design or smaller mouse. A gaming mouse is probably as subjective as you can get in terms of gaming gear preference, if you have a specific gaming preference or hand size/grip then the following mice are great options. Just because you want to save a couple of bucks doesn’t mean you can’t get great gaming performance. Some options are getting last-gen models like the Logitech G203 or Razer DeathAdder Chroma. For your hard-earned dollars, the Nixeus Revel is the best budget gaming mouse at around $40 dollars. A great ambidextrous shape with a great sensor. The Revel sports the top-end Pixart 3360 sensor, which means you’re going to get no acceleration, no angle snapping and great tracking. The Revel has a basic ambidextrous shape resembling the Steel Series Sensei that works with all grips. 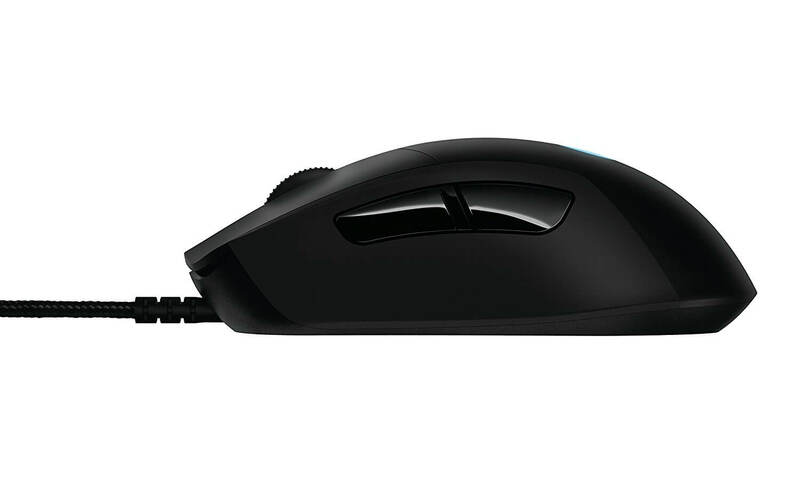 The mouse includes Omron switches that deliver a great click for both FPS and MOBAs. It weighs in at 85g and measures 125.7mm (4.95″) x 67.5mm (2.66″) x 39mm (1.54″) so it’s suitable for medium sized hands. 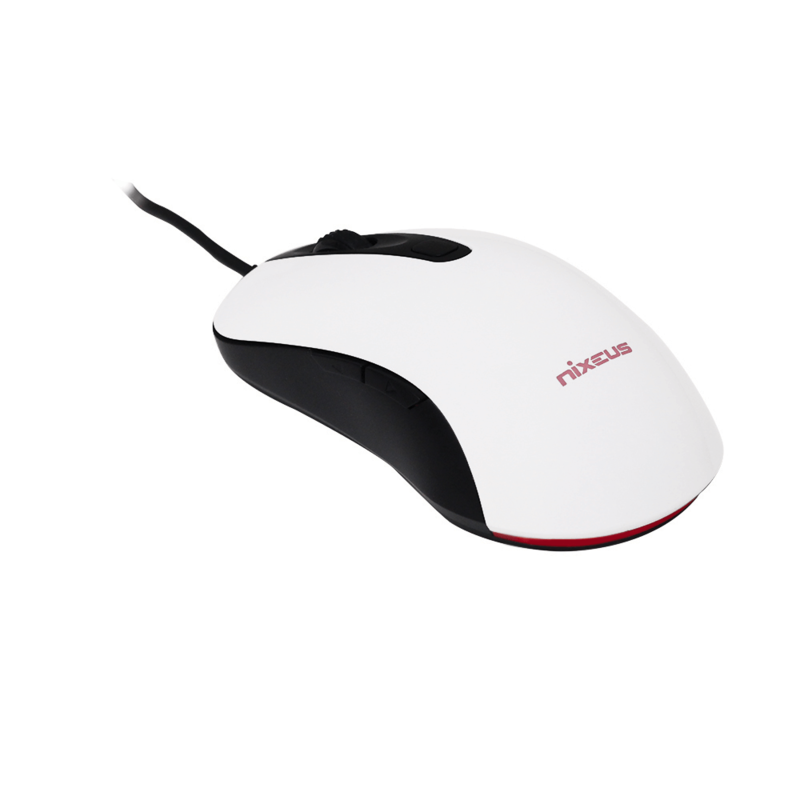 Nixeus made the choice to make the Revel a basic plug and play mouse to save on cost so it doesn’t come with any software. 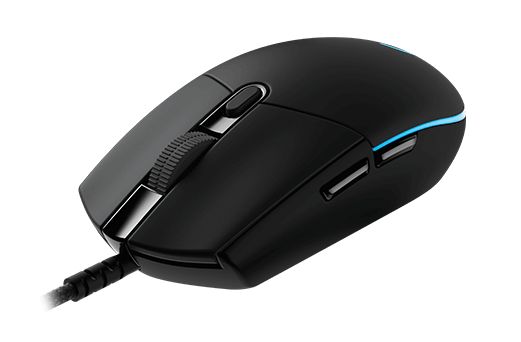 The mouse does feature a built-in DPI profile selection with DPI steps at 400/800/1200/1600/2000/3200/5000/12000 for a lot of gamers that’s going to be more than enough options on a mouse. FPS require mice to be super accurate and have tactile switches that are a little stiffer in comparison to other switches in general gaming mice. The stiffness is important in preventing FPS players from accidentally firing giving away their position but to also provide that hard tactile response when firing. If this post was only about FPS mice then Zowie mice would’ve been the top recommendations, they’re mice that are purpose built for FPS gaming. The Zowie mice are especially popular with CS:GO community, which is a huge indicator of Zowie’s performance in FPS. Great for shooters – The Zowie FK series is the best ambidextrous mouse made for shooters. 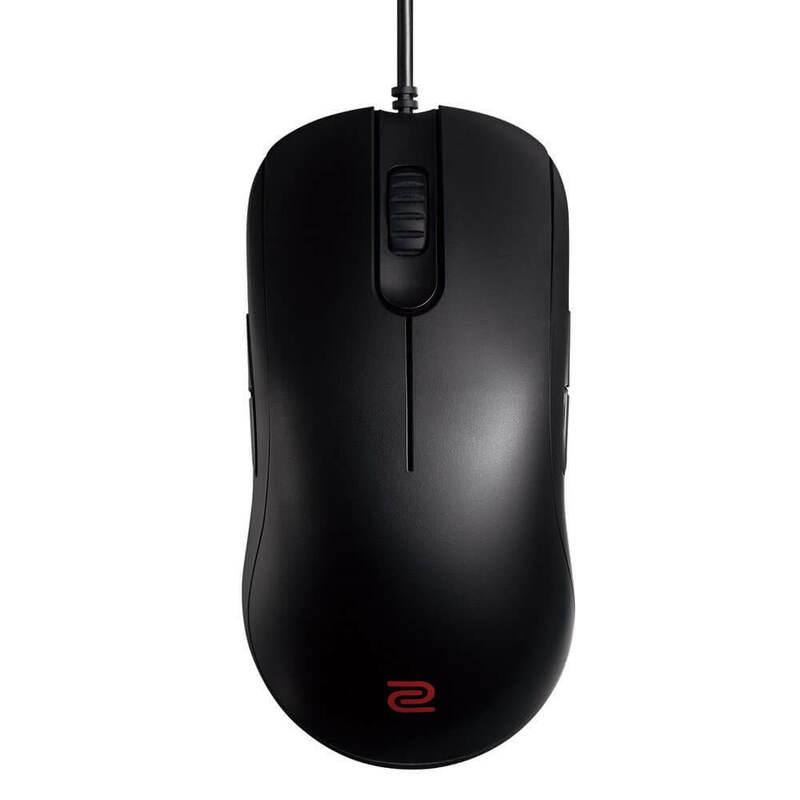 There are two lines of Zowie mice that are prominent, both of them have great 3310 Optical Sensors, they’re flawless sensors with great tracking, no acceleration, angle snapping and an advertised lift-off distance of 1mm (that’s really low by the way). Great for shooters – The Zowie EC series is the best ergonomic mouse made for shooters. Both lines feature Huano switches that have a higher required click force that better suits FPS. They’re definitely recommended if you’re a gamer that grips the mouse tightly and might experience accidental button presses here and there. They can still work for MOBAs but just know that it can be a little more tiring. The best thing about the Zowie lines is that they come in different sizes, making sure that there’s a Zowie mouse for each hand size. The Zowie FK Series features a low profile ambidextrous design with buttons on both sides for left or right-handed gaming. The equivalent Logitech mouse would be the Logitech Pro. The FK series comes in FK2, FK1, and FK1+ for small to large hands. 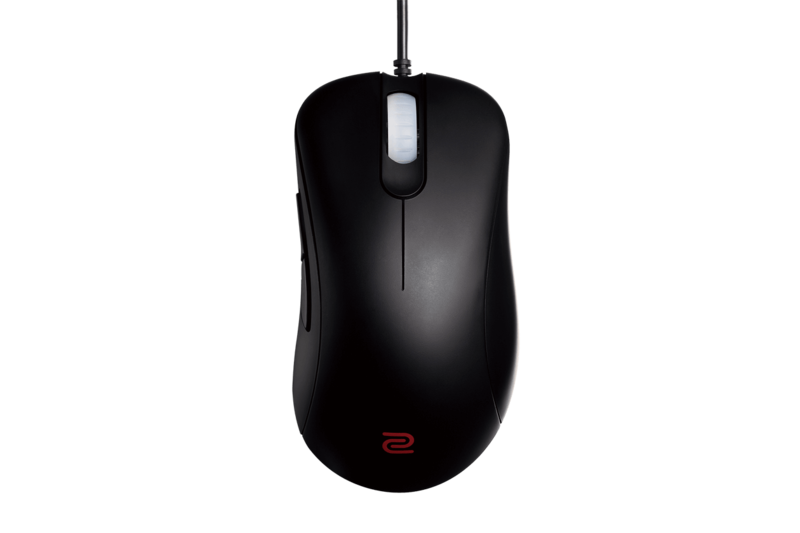 The Zowie EC Series features the same buttons and sensors as the FK series but in an ergonomic right-handed shape. The Logitech G403 is the equivalent to the EC series. The EC Series comes in EC2-A and EC1-A for medium and large size hands. The G303 is tailor made for Mobas with all the same internals as the g403 with a different shape. MOBAs and RTS’s both involve a lot of clicking, the best mice that accommodate this type of gameplay must have buttons that are light enough to click repeatedly while being durable. Tracking is still important especially in RTS when you might have to pinpoint to micro units around or to make sure you’re clicking on the right targets in a MOBA but it’s not as important as it is in FPS. 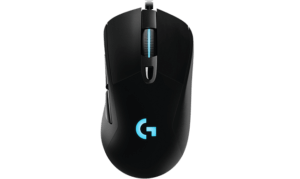 The Logitech G303 is marketed as a mouse purpose built for MOBA, it features the same tension-spring buttons as the G403 with a rated 20 million click lifetime, with the same great Pixart 3366 sensor. There isn’t actually all that much different from the Pro or the G403, outside of a different design and slightly different shape. The G303 is slightly cheaper though so take your pick. MMOs prioritize mice that can store macros onto multiple buttons to streamline their gameplay. There are a lot of mice with a lot of buttons but they can lose focus on mouse shape, weight and other factors that still matter in a mouse. 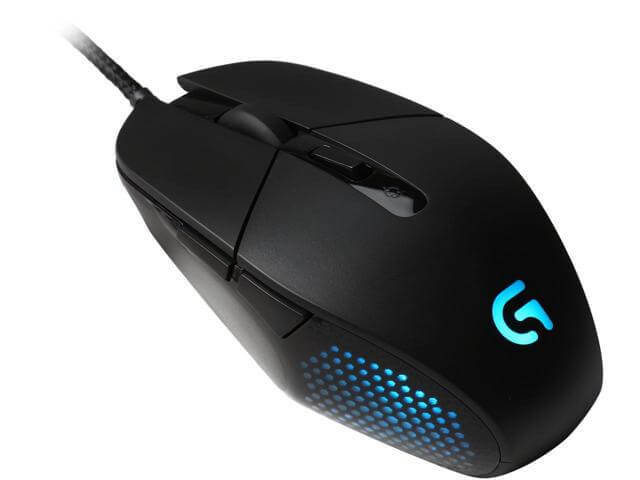 The Logitech G900 not only provides 11 programmable mouse buttons but bundles it with a great mouse shape, light weight, fast wireless response and even throws in the best in market 3366 sensor all-in-one package. It’s essentially Logitech’s mouse with everything thrown in and the price reflects that. For lefties, there are a lot of great options in the form of ambidextrous gaming mice such as the above mentioned Logitech G Pro, Zowie FK Series and Nixeus Revel. If you’re looking for an ergonomic shape for lefties you’re going to have fewer options. One of the only lefty mice – The left handed DeathAdder is the best ergonomic mouse made for lefties. This version does not have the same internals as the DeatheAdder Elite but the lefty edition still has the same great shape a good sensor and great buttons. This is sort of a default win; there aren’t many great left handed ergonomic mice, if you want the latest internals you’re better off going for an ambidextrous mouse listed above.